This is nice and practical small handbag made by Johanna Hasselbrink from light leather. It has convenient zip on its top part which makes you sure that your belongings are safe. 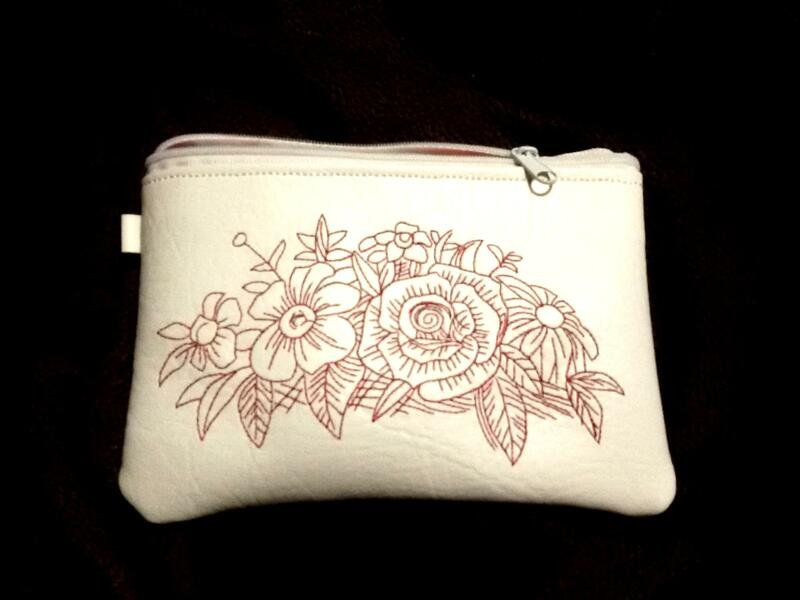 Its front side is decorated with pretty but quite easy embroidery sample. It is Flowers bouquet redwork free embroidery design. To make it you need just one color of thread and some patience.